Akshay Sharma is a tech analyst, having authored or co-authored over 280 research notes, on emerging technologies like DevOPs, Software Defined Data Centers, 5G, mobile video, Blockchain, and IoT. A frequent speaker at tech events, he is often quoted in leading institutions like CNN, Wall St. Journal, CIO.com. He is a former CTO of one of the first video/WiFi smartphone firms and an entrepreneur in the tech sector, having worked for firms that are now part of leading firms like Intel, IBM, Nokia, and Ericsson. 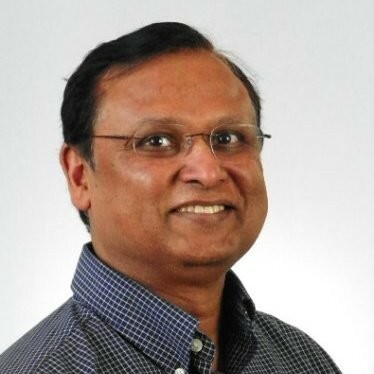 He has worked for Gartner, Nortel, Siemens, and many emerging startups, including 3 startups that are part of IBM Rational/DOORS in ObjecTime, Verilog, and Telelogic on integrated development environments. Sr. Director, Global Business Systems, Lumileds, a Phillips Company and former Sr. IT Director, Intel Corporation. Distinguished transformational technology leader with experience in supply chain, sales and marketing, product lifecycle, finance and many other verticals. Understands how technology can enable the business and drives transformation by building unique data driven operating models. Deeply committed to operational excellence and spearheading innovative approaches to solve complex business problems.